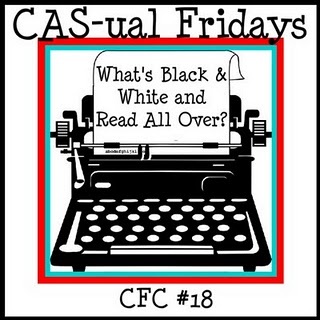 I made this card for the latest CAS-ual Fridays challenge which is 'Black & White & Read all over.' 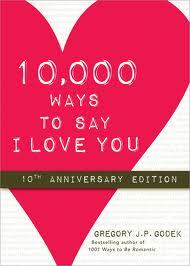 The book I chose was 10,000 ways to say I love you. I also made this card with the latest Wee Memories Challenge, 'Simply Sentiments' in mind. I got your 1k and I got your 2 k!!!! I love your work and I luffyoolortsnlorts!!!! Always, G (the hubby). Another great card! 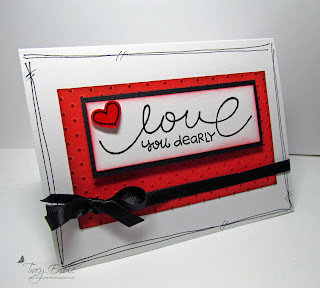 I looove that sentiment and the simplicity of the card is just perfect. Thanks for playing at Wee Memories (again!)! Oh Tracy this is wonderful! Perfect for both challenges! The line frame and the red polka dot background...SUPER!!! Wow! So pretty. That sentiment looks fabulous! This is so awesome. Perfect choice of stamps and colors! Thanks so much for playing with us at CAS-ual Fridays! Hope to see more of your FAB work! Ooh, fabulous book and such a strong and powerful card, love the red. 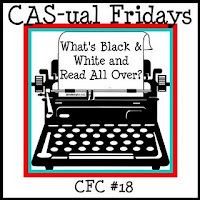 Thanks for playing at the CAS-ual Fridays Challenge!